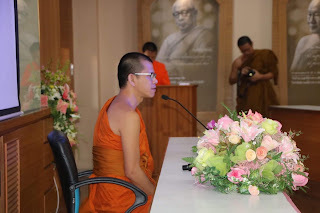 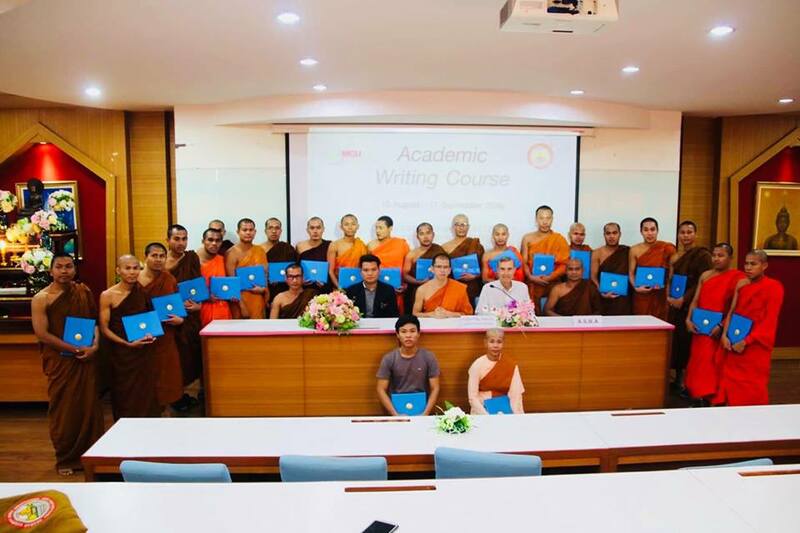 Academic Writing Course Closing & Certificating Ceremony held in the Peace Room of Mahachularlongkorn University. 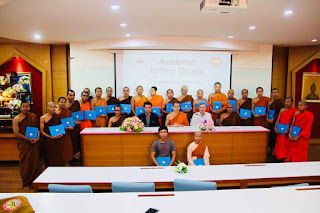 Academic Writing Course (AWC) Class conducted by Language Institute of M.C.U in collaboration with Arakan Student Monks Association(A.S.M.A), Thailand. 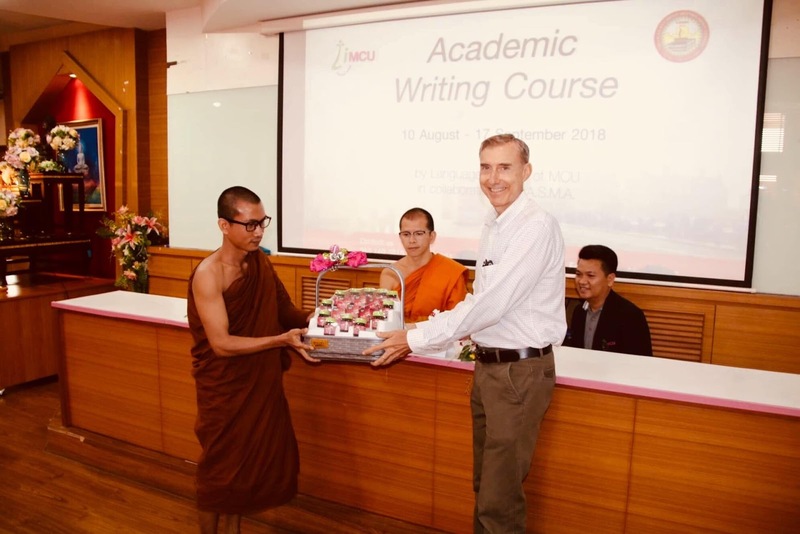 AWC that has been taught by an American Teacher, Alexander Willis (M.Ed.ELT) from U.S.A for 30 hours more than 6 weeks, has successfully accomplished today. 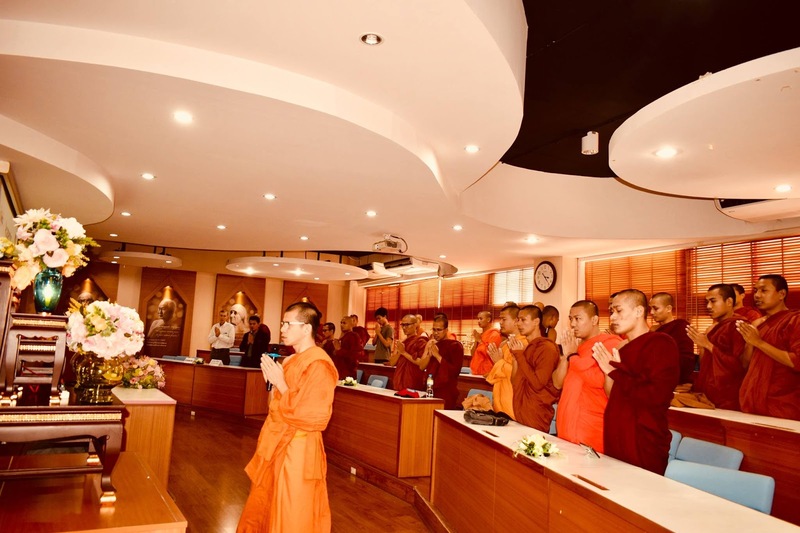 And so, Language Institute and A.S.M.A in collaboration celebrated a closing and certificating Ceremony in the Peace Room of M.C.U. Phra Maha Cittapalo, Director of Student Affairs, and Vice Director of Language Institute also participated in the ceremony and gave certificates to the students who completely attended the course. 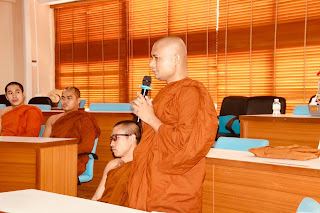 The President of A.S.M.A gave the speech of thanks to those who significantly supported and cooperated this course to be successfully happened. 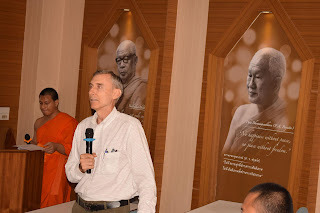 Especially to the Director and Language Institute for providing this opportunity to the students. 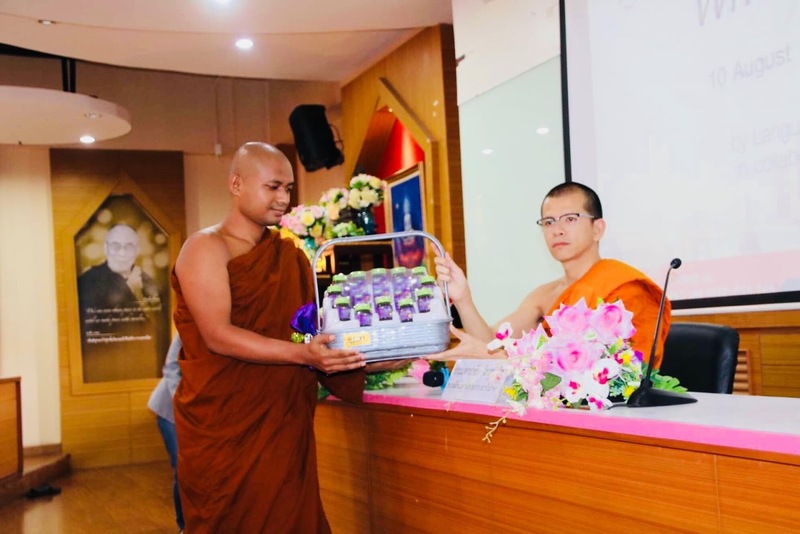 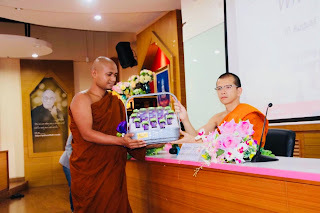 A.S.M.A offered some gifts to Phra Maha Cittapalo and teacher Alexander. The Director also advised A.S.M.A to continuously keep in touch with Language Institute of MCU so that other kinds of upgrading classes are to be opened in together. 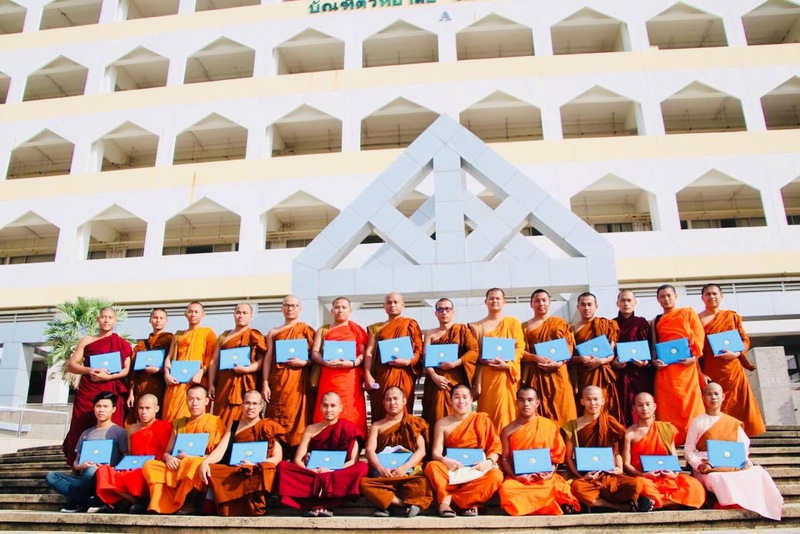 At the end of ceremony, a historic photos were taken.